Truly classic in style, awnings drape your attractive outdoor space with sophistication, while setting your property apart. Not only do awnings bring an exclusive level of privacy to your property, but they also offer protection supported by the latest technology. 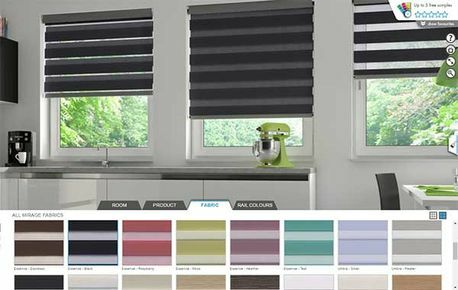 At North West Window Blinds, in Portstewart, County Londonderry, we supply Luxaflex wireless awnings for your ultimate relaxation. Owing to our exceptional reputation, we partner with a leading company, Luxaflex, to provide flawless blind design and fitting. As specialists in home and business Luxaflex awnings, we enhance your property with striking features. 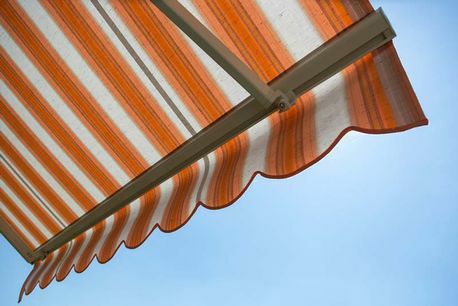 Our wireless awnings are available in a variety of fabric choices designed to block glare, reduce heat, and provide protection from UV rays. Expertly manufactured using 10% solution-dyed acrylic, our awnings and wireless awnings offer long-term protection. Exceptionally durable, they are proofed to withstand rotting or fading, ensuring they maintain long-lasting quality. For added convenience, our Luxaflex awnings can be fitted with a wireless remote and motor for ease of operation. 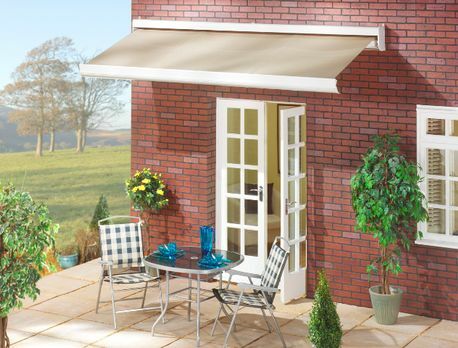 Alternatively, our awnings are available with a hand winch for effortless opening and closing. Simply get in touch with our specialists to discuss your requirements and receive a free quote. As a devoted company, we are passionate about providing the perfect solution, whether you are in search of awnings, Senses Mirage blinds, or roller blinds. That’s why we offer a unique design tool so you may create the style of awning or blind that you desire. Contact us, in Portstewart, County Londonderry, to acquire more information about the wireless Luxaflex awnings we offer as leading blind suppliers.